Here's the beginning of our Autumn Class Calendar... we hope you can join us this fall at one of our creative classes! We're thrilled to be adding TANYA as a teacher- please welcome her as she joins us! Tuesday, Sept 22 is the First day of Autumn, so we're changing up our 3 Card Class this week to celebrate with three Autumn cards! 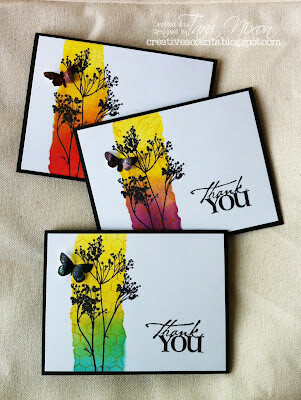 See the cards you'll make on the blog or in the store- please sign up to reserve your spot soon! 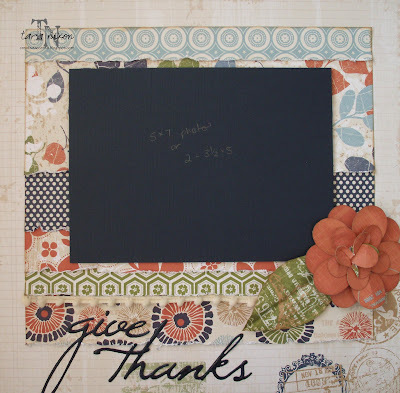 This class is perfect for beginner scrapbookers or those new to sketches. We'll provide the sketch & papers, you just have to bring your photos to suit it and a class kit. We'll give you tips on selecting papers, adapting sketches & more! 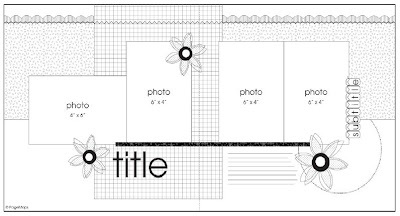 The sketch we'll be using this time features 4-4x6 photos (3 vertical, 1 horizontal) You can pick up a copy of the sketch in the store when you sign up for the class! 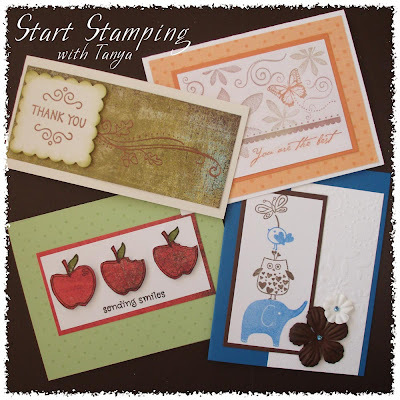 This class is perfect for beginner stampers as it covers a lot of basic techniques. 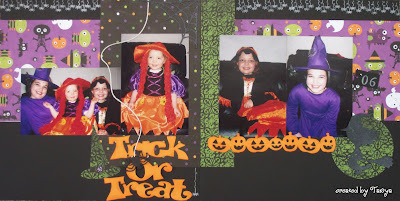 You’ll learn about different types of inks & basic supplies supplies needed to create cards. Using both clear & wood mounted stamps, you’ll create up to 4 cards while learning about using Versamark ink, chalking, masking, heat embossing & paper piecing! 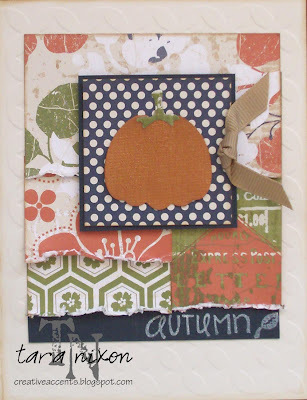 Celebrate the shades & textures of autumn with this fun class where you’ll create both a 12x12 layout and coordinating card. 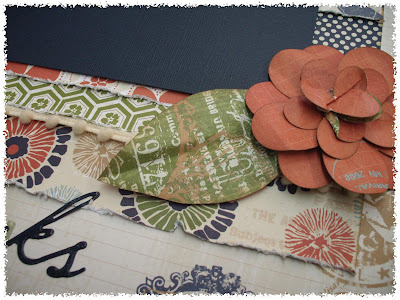 Using paper from the “Traveler” collection by Little Yellow Bicycle, we’ll distress, tear, crinkle & crackle our way through, finishing up with a stunning 3D flower & a pumpkin with a metallic finish! In addition to these 2 great projects, everyone will take home a surprise bonus gift that will have you adding texture to a variety of other projects! It's WORLD Card Making Day on Oct. 3! Celebrate with us by gathering to spend the day creating cards- whether you stamp or die cut, make birthday, Thank you, Christmas cards or another project, it's a great way to spend a day! Your crop fee includes table space, dinner, door prizes and a card class! If you can't make it to the crop, you're welcome to join the card class for a small fee. Watch for more details coming soon! 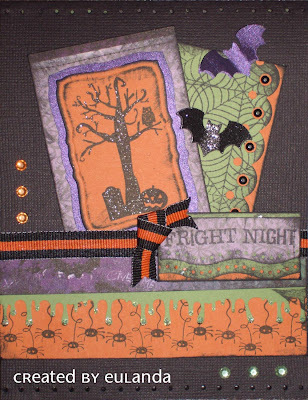 Here's a couple fabulous Halloween Cards made by Tanya & Eulanda to inspire you... they're even better in person! You can read details on how they made them on their blogs (see the links in our sidebar! ).